The development comes more than a month after Tharoor sent a legal notice to Prasad seeking an ‘unconditional apology’ for calling him a ‘murder accused’. 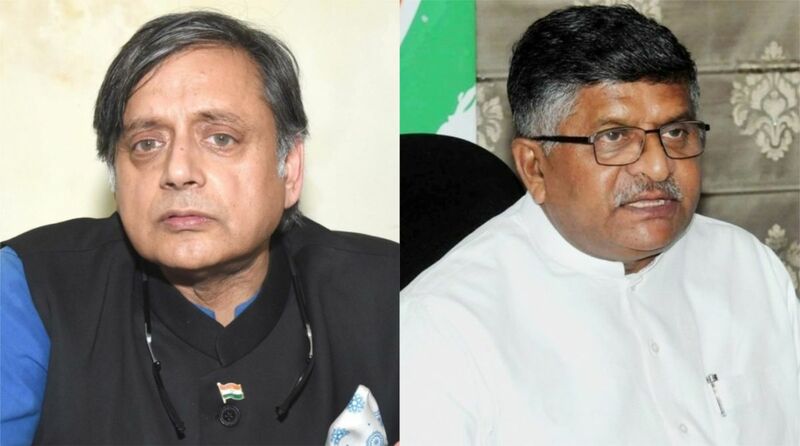 Senior Congress leader Shashi Tharoor on Monday filed a criminal complaint against Union Minister Ravi Shankar Prasad allegedly for making defamatory remarks against him. Congress MP Tharoor has filed a complained in Thiruvananthapuram court. 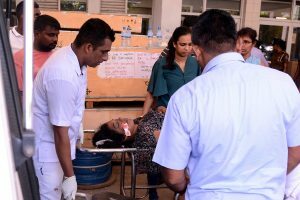 The development comes more than a month after Tharoor sent a legal notice to Prasad seeking an “unconditional apology” for calling him a “murder accused”. Tharoor had triggered a major controversy with a comment comparing Prime Minister Narendra Modi to a scorpion on a Shivling, following which Prasad had called Tharoor an accused in a murder case while commenting on a religious issue. The law minister shared a video of a press conference on Twitter, captioning it, “Shashi Tharoor who is accused in a murder case has attempted to disrespect Lord Shiva. I seek a reply from Rahul Gandhi who claims himself to be a Bhakt of Lord Shiva on this horrific denunciation of Hindu gods by a Congress MP. Rahul Gandhi must apologize to all Hindus”. Tharoor has been charged under sections 498A (husband or his relative subjecting a woman to cruelty) and 306 (abetment of suicide) of the IPC for the death of his wife Sunanda Pushkar.